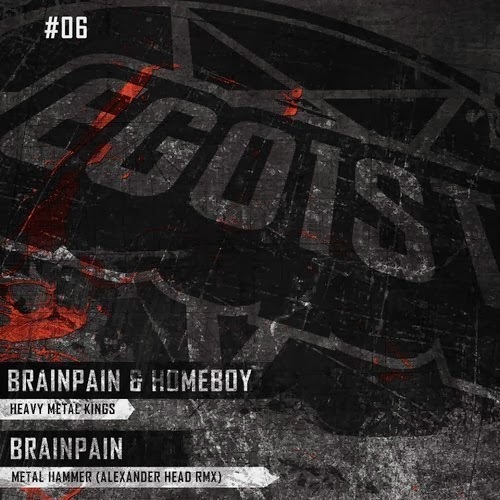 Drum and Bass India™: BRAINPAIN - METAL HAMMER (ALEXANDER HEAD REMIX) OUT NOW!!! BRAINPAIN - METAL HAMMER (ALEXANDER HEAD REMIX) OUT NOW!!! The hard drum and bass and crossbreed DJ and producer Alexander Head (PRSPCT, Big Riddim, Devastation) finally got his first track released on his new home, the label NEKROLOG1K. It is a remix of the famous Brainpain track Metal Hammer, listen and enjoy! Later this month closer to Christmas day the chilean hard working label Infectech Recordings will include a new Alexander Head track in their new compilation.